The New Dream Child Care Center was founded in 2009 to provide a new community-based program for families who want the best quality child care available, and a whole-child integrated curriculum that is grounded in the context of our community. The Center is 3-Star Certified with SPARK, the Quality Rating and Improvement System that is managed by the Oregon Department of Education. We provide loving care, fun, and education for your babies, toddlers, preschoolers, and school-age students. 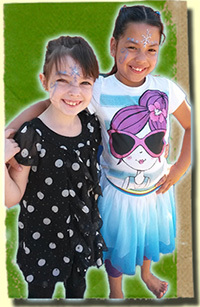 We pick-up from nearby schools and provide programs when 4J is not in session. Our classrooms are staffed with talented and skilled teachers with outstanding training and credentials. Most important, they are warm, caring and accommodating of your family’s unique needs and concerns for your child’s care. Our curriculum and practices are solidly focused on Healthy Food, Smart Habits, and Sustainability. Teachers use our extensive on-site learning gardens and chicken technology to help link the natural world to the learning world and then to the larger future world. We believe in More Nature and Less Plastic, More Real Life and Less Early Screen-Time for kids. We employ several specialists who deliver a garden-based STEM curriculum in Spanish which is centered in our extensive gardens. This innovative program brings science and language-learning together. Our program is guided by an energetic non-profit Board of Directors and an Executive Director with ten years of experience as a Center Director and who has worked in Child Care for 26 years. Please browse and feel free to contact us via email, [email protected], or call the center, 541-344-1905, if there is any information you have been unable to find online. Thanks for visiting our site! We hope to hear from you soon.